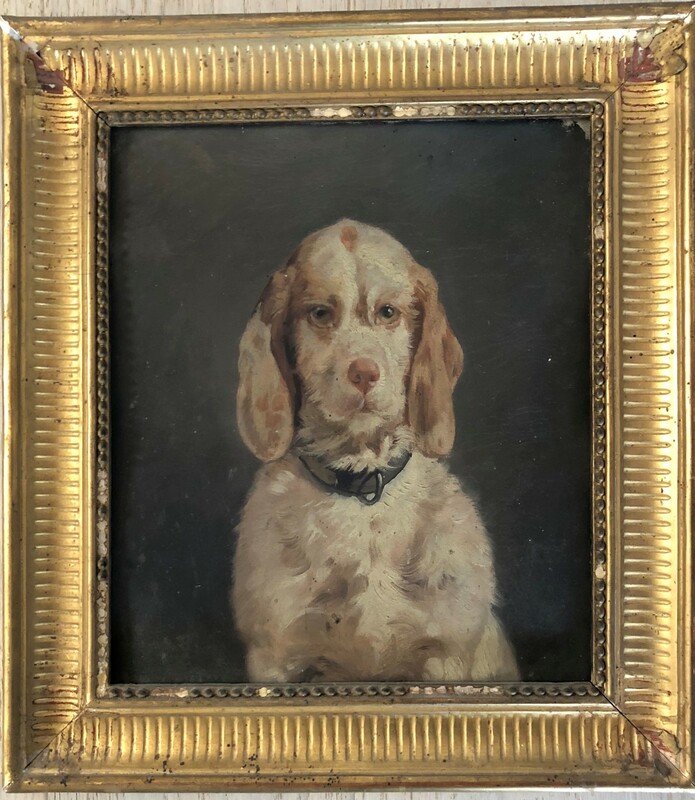 A Portrait of a Spaniel Dog. Late 19th - early 20th century. Hugo's Antiques was founded in 2013 by Jeremy Woon who has a passion for all things unique and decorative in the world of antiques and art. Jeremy sources stock from mainly private clients across Europe so can offer items of exceptional character and design. Jeremy honed his experience by the interior decoration of his own Grade II* listed country house in County Durham. Hugo's Antiques is currently an online presence only but there are already plans afoot to expand into exhibiting at specialist fairs. Jeremy's experienced eye is available to you not just in the presentation of a fine range of the decorative, but in Asian Art too. Oriental furniture, ceramics, sculpture, thangkas and textiles is very much a Hugo's Antiques speciality, indeed Jeremy would be delighted to hear from you should you need him to source a particular piece. Hugo's Antiques aim to make the buying experience a pleasant and reliable one by offering detailed condition reports to clients, and arranging the safe delivery of purchased chattels. Please let me know if you require further info.